Peru is the fastest growing economy in Latin America. However, economic growth does not benefit all citizens equally. 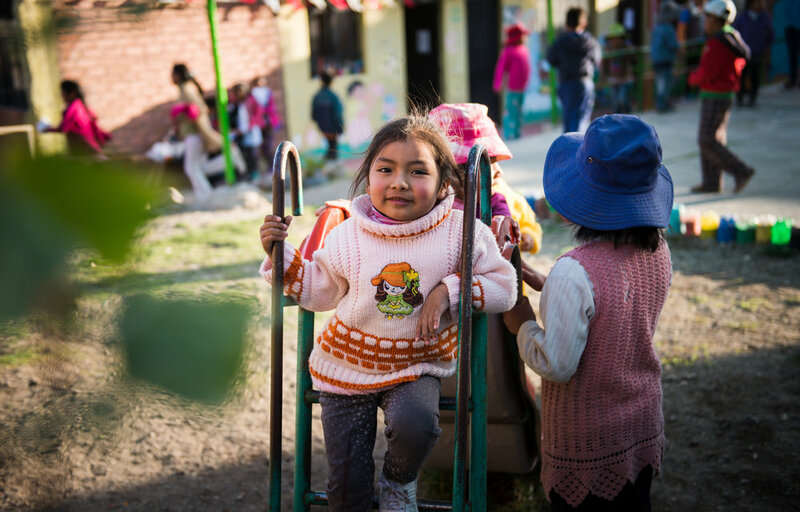 HOOP (Helping Overcome Obstacles Peru) was established with the mission of providing the economically disadvantaged with the skills needed to succeed, so that the recent economic boom doesn’t leave them behind. HOOP runs an English school in the neighbourhood of Flora Tristan, about an hour by bus from Arequipa, Peru’s second largest city. Most residents of Flora Tristan are poor people from rural areas who come to Arequipa looking for better opportunities. “They think they can get better chances for them or their kids, but it is difficult to be part of the workforce if you don’t have the tools or the abilities that the mining or the tourist markets require. So they come, they move here, but it’s hard work for them to become a part of the city,” said Lucas Luna, communications and development coordinator with HOOP. Apart from teaching English to students to prepare them for opportunities in the burgeoning tourism sector, HOOP also helps supplement the students’ public school education. Luna notes that the public school system is not of the quality needed for children to succeed due to overcrowding in the classrooms and underpaid teachers. HOOP provides homework support and tutoring so students better understand what they have been taught during their school day. HOOP also strives to create a positive family and community environment for the students by supporting their mothers. “The moms here are the most important part of the program, as they are the leaders, they are the ones in charge of the families. They work really hard from sunrise to sunset,” said Luna. HOOP has two psychologists working on their team who help the mothers with family issues such as domestic violence, behavioural problems, and alcoholism. The organization also helps families obtain medical care. It has agreements with local health and dental institutions that provide free medical checkups, and offers advice and legal support for those needing to navigate the bureaucracy of the public health system. Further, a scholarship program is in place that helps some of those involved with the program go on to University. 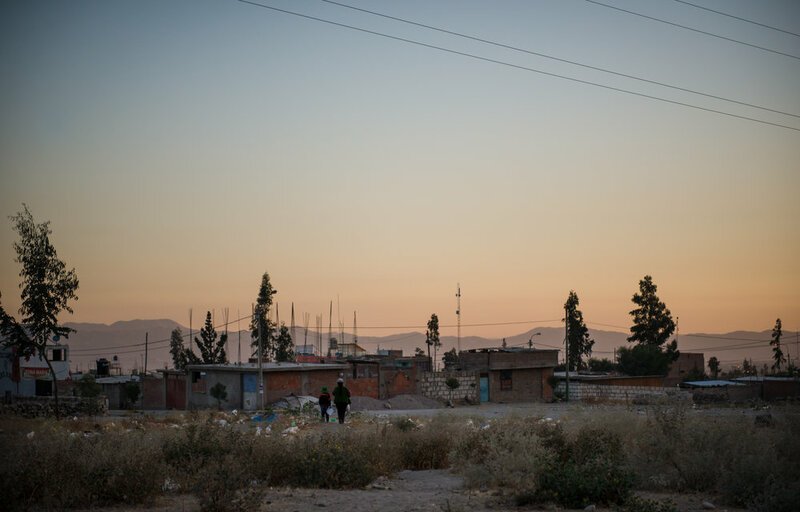 Photographer Anita Bonnarens recently visited Arequipa to document the work that HOOP is doing. “It was very dusty. It’s endless mountains surrounded by volcanoes, which are very impressive,” said Bonnarens of the Flora Tristan neighbourhood. While there, Bonnarens photographed a class of women who, through HOOP, were completing their high school education. “I thought I was going to document a school where they give education to children, and what I learned along the way is that it was much more than that. It was basically building a community where they saw the value of the moms. If you empower the women you have this ripple effect that goes to the children, and to the community,” said Bonnarens. Bonnarens’s photos not only caught her subjects studying, but also playing, celebrating and enjoying life. She documented children covered in paint after an art class turned into an impromptu paint fight involving both students and volunteers. Other photos show the people of Flora Tristan dancing and celebrating Arequipa Day, which celebrates the city’s founding. Bonnarens hopes her photos convey how an organization is able to make a difference for a small community, and highlight people’s desire for education. Click here for more information on HOOP Peru, and how you can support their work.